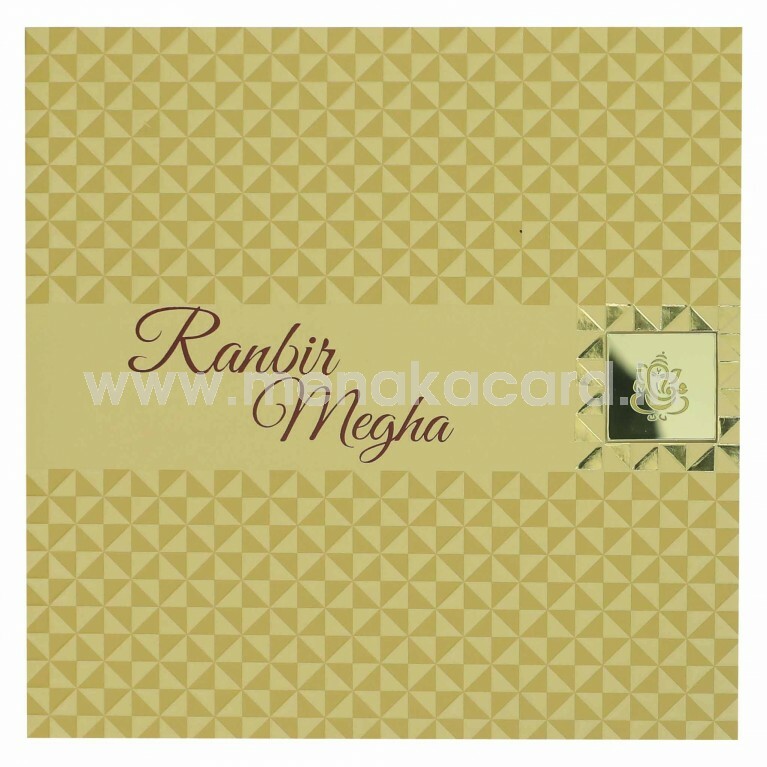 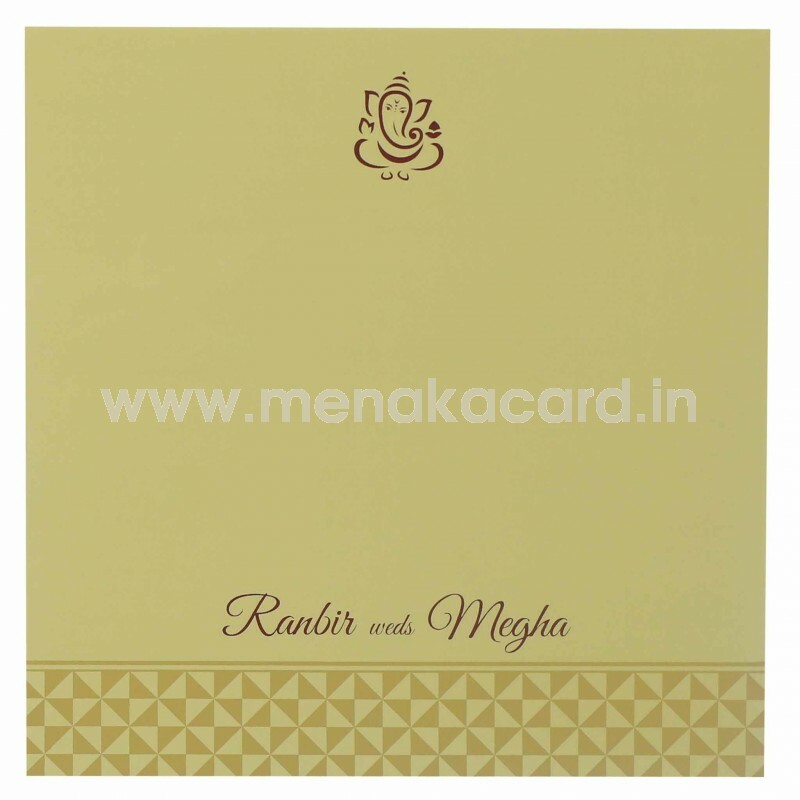 This modern cream card and envelope has chic art deco geometric prints embossed and printed into the front with a solid strip at the center that houses the names of the couple in maroon and a gorgeous gold Ganesh sticker beneath seen through the frame die cut window on the right. 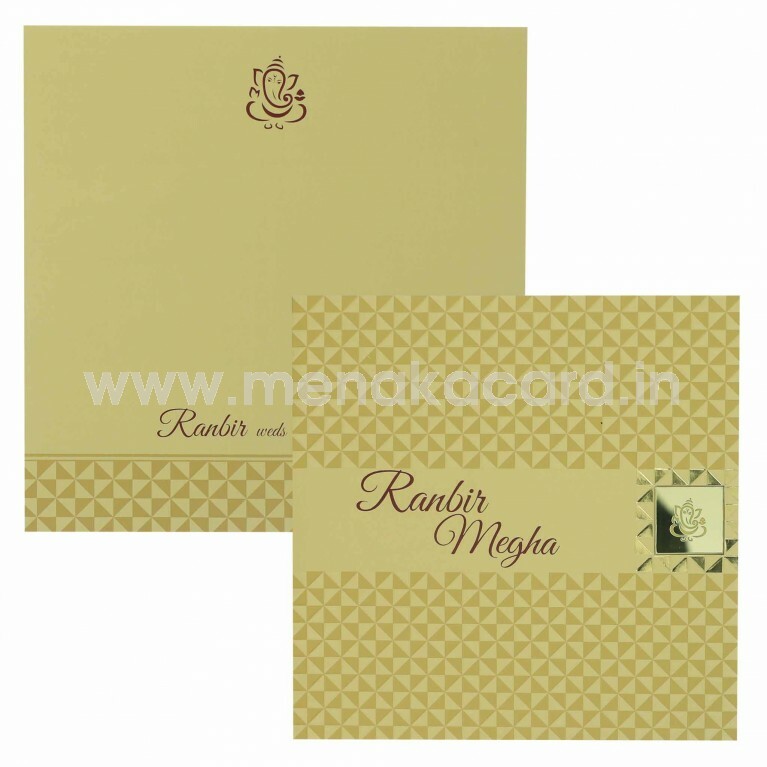 The card holder holds two cream inserts made from the same material printed with rich gold text. 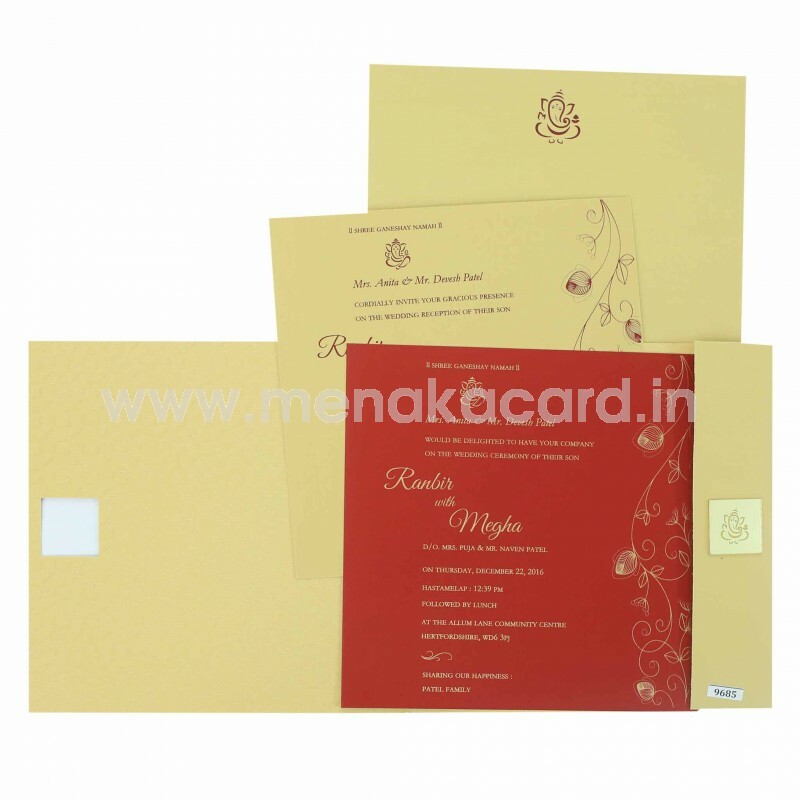 This can be used for Hindu weddings, engagements, Receptions, Multi-faith weddings, grahapravesham etc.